Why Doesn’t Bernie Have His Own Hispanic Millionaire Bundler? Posted on September 1, 2015 | Comments Off on Why Doesn’t Bernie Have His Own Hispanic Millionaire Bundler? 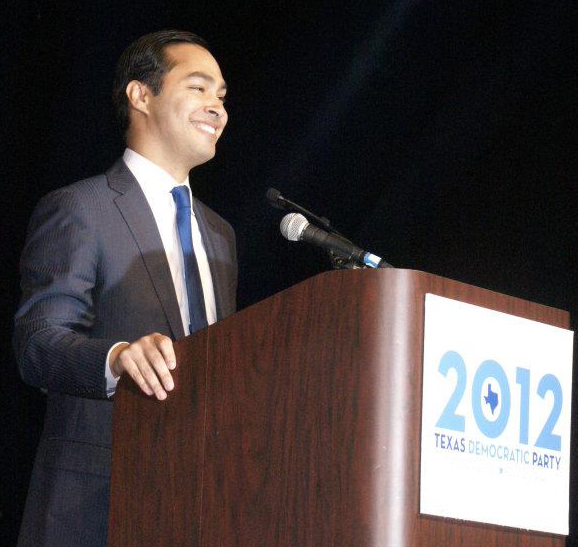 Recently, Joaquin Castro called out Bernie Sanders’ Hispanic outreach. OK, I guess that’s fair. Then again, some of us believe that Bernie Sanders’ campaign speaks to everyone and that you don’t need to be holding a Chipotle burrito to say you support us. Castro also called out Bernie Sanders for not going down to South Texas. Well, it’s not Bernie’s fault that he doesn’t have the support of a South Texas Hispanic millionaire bundler. On August 7, Cantu held a $2700 a plate fundraiser for Hillary at his mansion. No public events–or actual Hispanic outreach–were held. And, here, Bernie wants to serve everyone–even those of us with nothing to give–by filling large venues without requiring $2700. Castro reportedly clarified that he was referring to Texas’ predominantly Latino communities. Apparently, Dallas and Houston just aren’t Latino enough? I attended the Houston event, and I’d bet the money in my pockets versus the money in Cantu’s pockets that there were way, way more Hispanics at the Houston event than at Cantu’s fundraiser for Hillary. Or, I can get a little more technical: Sanders has NOT called for the wholesale deportation of Central American children, like Hillary has and has defended. If either of the Castros wants to defend this, then I’m listening, because Hillary keeps botching up that issue alone. Comments Off on Why Doesn’t Bernie Have His Own Hispanic Millionaire Bundler?